The search for the magic ‘diet pill’, a medication which will obviate the need for going on a diet, is nothing new. Men call it Ale, I know not what to make. What store of dregs must needs remain within? A sentiment held, alas, by centuries of alcoholics. It is incredible the quantity of malt liquor that some men swallow—to the amount of many gallons. The Welsh are great consumers of ale, and it is recorded of a Welsh squire, Wm. 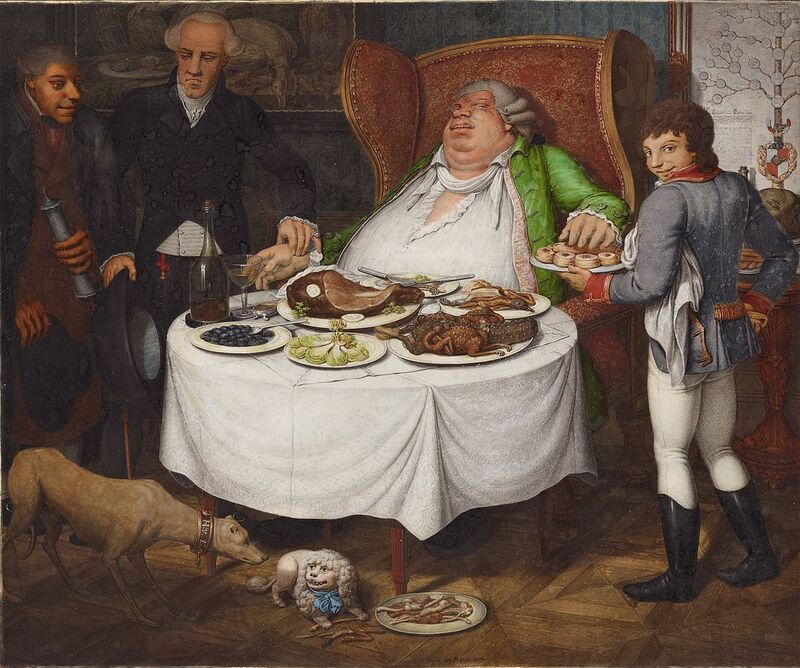 Lewie, who died in 1793, that he drank eight gallons of ale per diem, and weighed forty stone; which, for the reasons stated in the Latin verses, is not improbable. The article concludes with the surprising revelation that malt ale (by which is meant stout) was invented by the Egyptians. This Vinum Britannicum, borrowed from the Egyptians, was originally patronised by the Welsh, and has subsequently been considered the natural beverage of Englishmen. I have known some honest Cambrians who, like Boniface, ‘ate it and drank it,’ and would continue drinking it under constitutional derangements that would have killed an ordinary man. “Nothing will stay on my stomach,” said an old toper, “but beef-steaks and Hodgson’s ale!—What do you think of my stomach, eh doctor?”—“Why, I think your stomach a very sensible stomach,” was the equivocal reply.